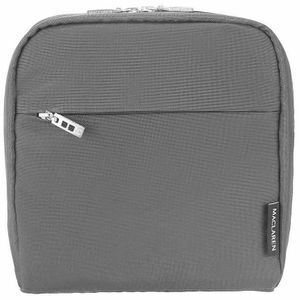 The material is of great quality; very thick yet very soft. 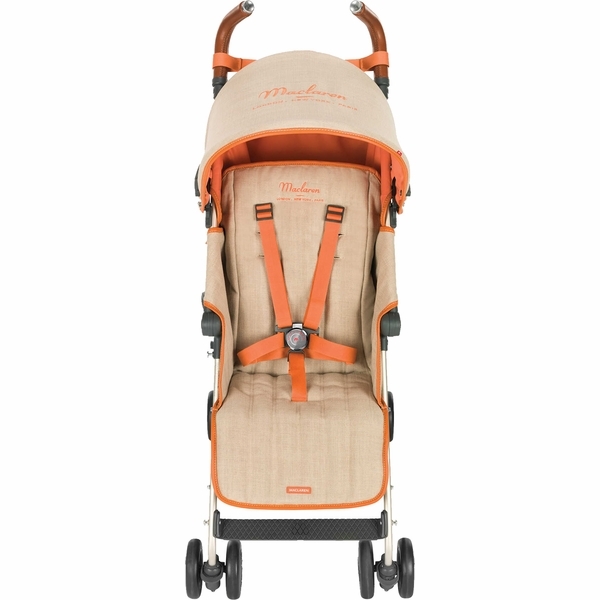 Because of the material that is used, it makes the stroller heavier than the Volo but its worth it. I currently own a Volo. I used it on my oldest. I've had it for 10 years. It still works perfectly but I wanted a new one and this one was on sale for a great price. 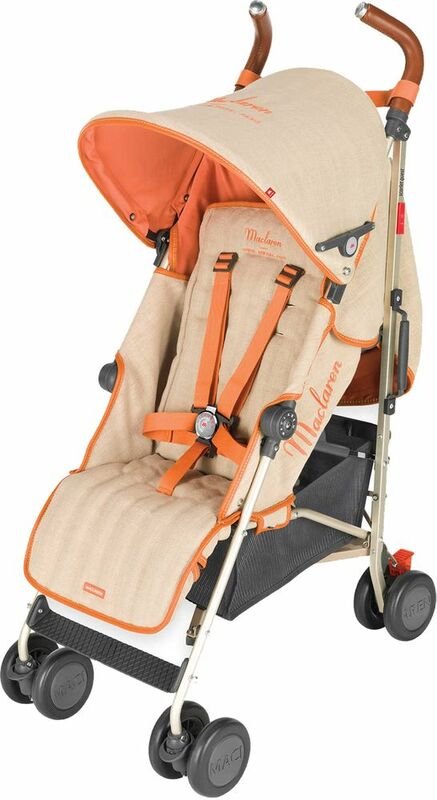 I know this stroller will last twice as long based on quality of the material & the stroller frame. 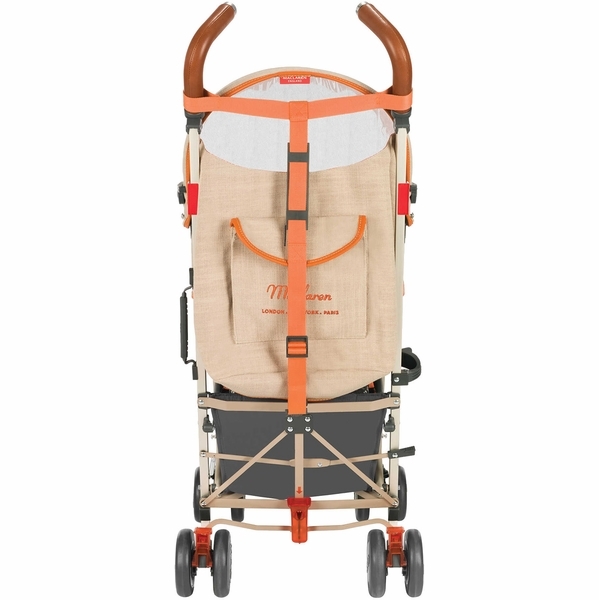 It comes with a storage bag for the stroller. ProsQuality material & real leather. Comes with a storage bag for the stroller. 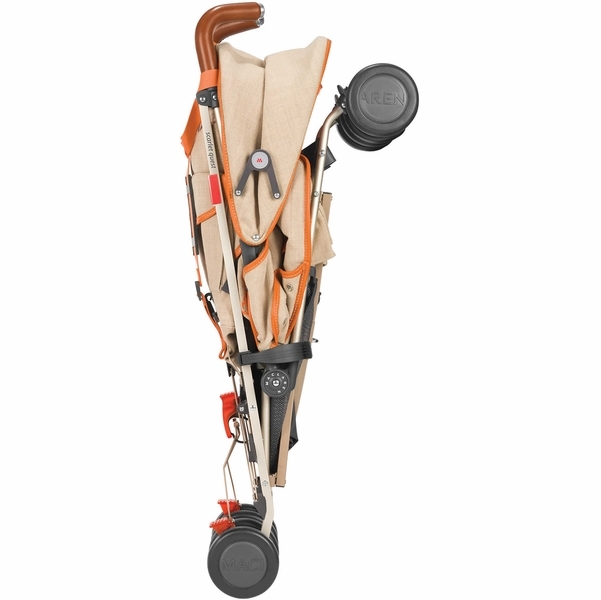 Love the storage pouch on the back of stroller. 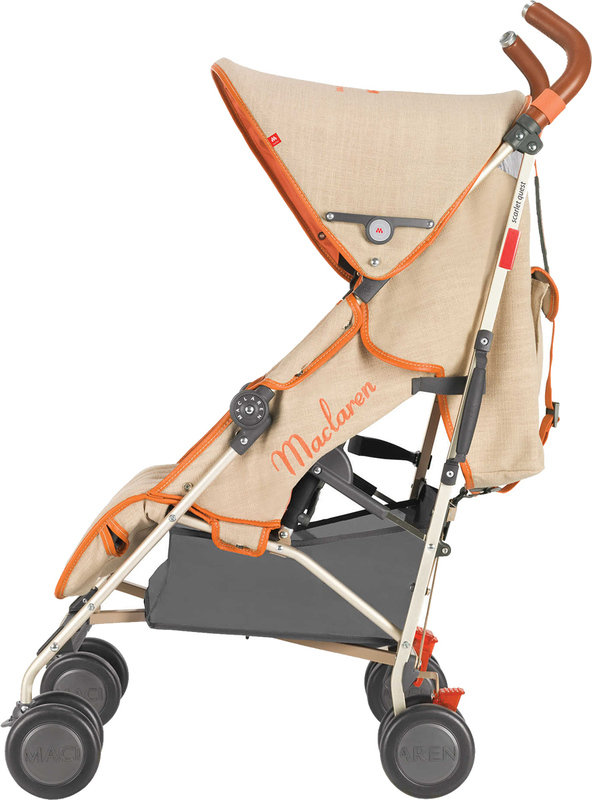 The stitching on the material makes the stroller look boutique, very expensive. 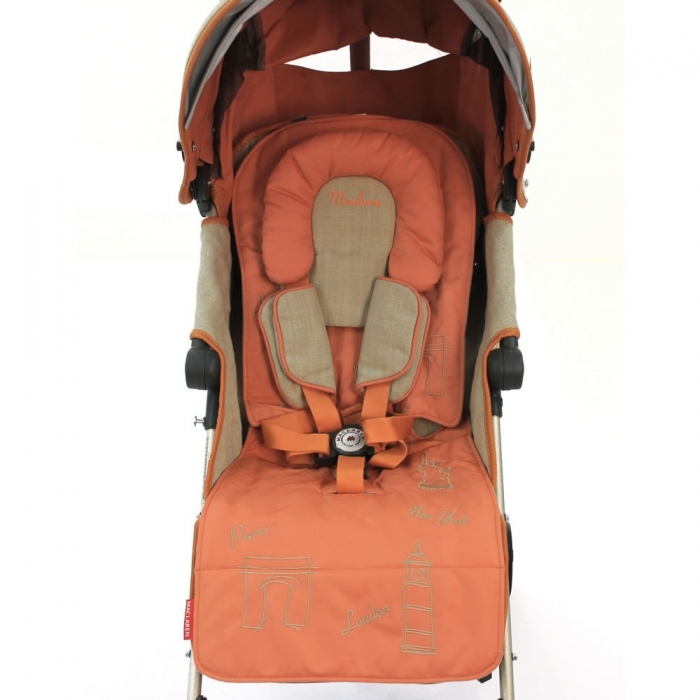 It is made very well, great quality. Extremely happy with my purchase. Would definitely recommend it. It was worth every penny. Orange is not too bright. Its perfect. ConsIts heavier than the Volo. 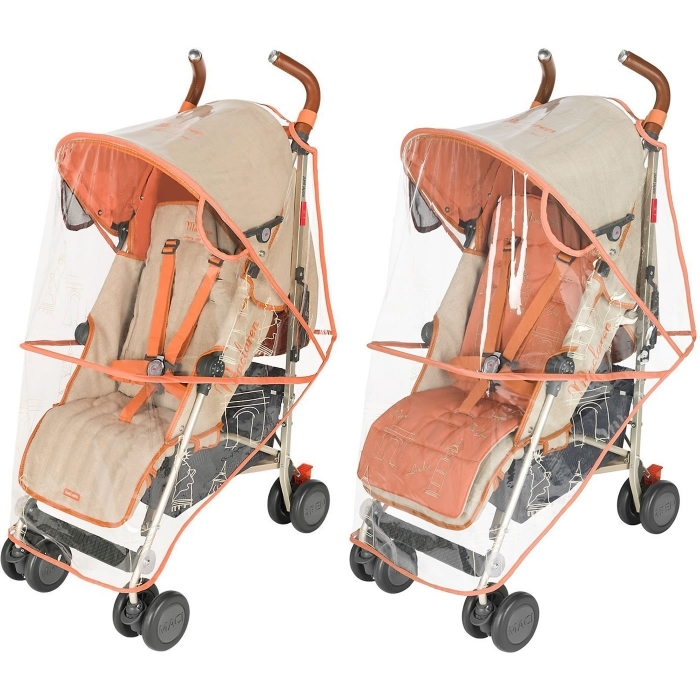 Hi, I'm curious whether the stroller includes reversible seat liner, head hugger and shoulder pads, printed raincover, mosquito net, storage bag and luggage tag. 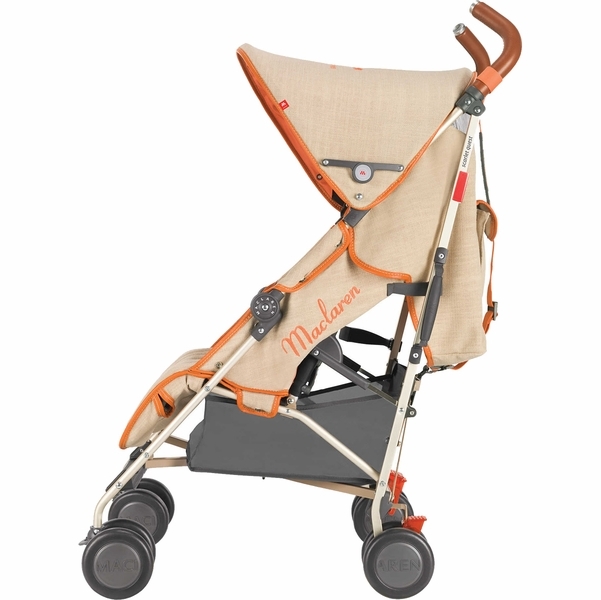 Enjoy lasting use, comfort and style with the lightweight and fashionable Scarlet Collection Maclaren Quest Stroller. 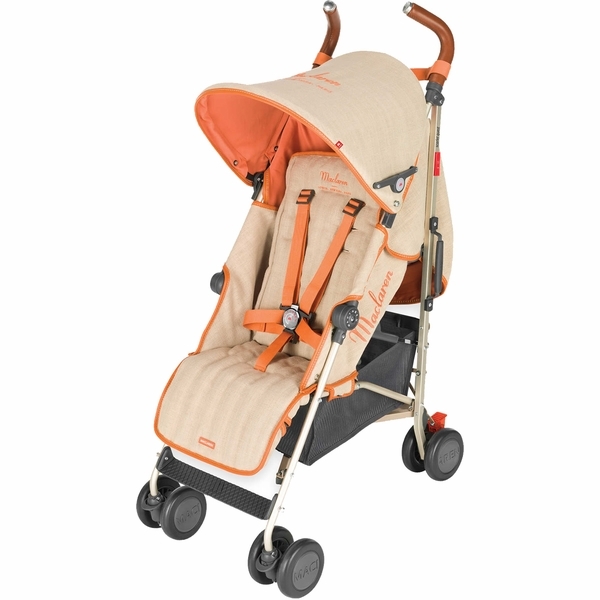 Designed to comfortably accommodate a child from infancy to toddlerhood, this agile and trendy stroller is perfect for active families.